If your tooth replacement needs involve dentures, you can trust ConfiDenT for a rewarding experience in dental care services from start to finish. 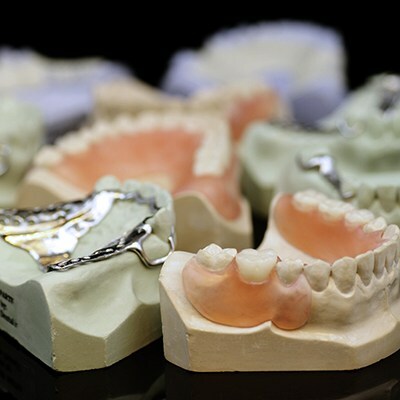 To ensure you regain the confident and healthy smile you deserve after missing teeth, we proudly offer top quality dentures, including the latest models in partial and complete dentures. When crafting your new smile, our restorative dentists recognize the importance of providing dentures that look, feel and function like natural teeth. 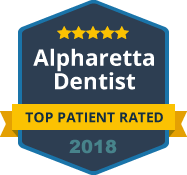 Our Alpharetta practice is equipped to offer an expansive variety of denture types, including removable dentures, implant supported dentures, metal free options, flexible partials (like Valplast) as well as those using traditional design or computer aided design. Replacing a full arch of teeth can be an intimidating experience and notable investment. Rest assured that our staff is here to walk you through the entire process. This is from choosing the type of dentures you need to helping you finance your replacement teeth. Our goal is to give you the largest return on your investment, which should include long-lasting comfort and pride in your new smile. Our dentists carry experience in handling all types of denture needs such as any repairs, adjustments or relines you need along the way. Partial dentures look and act in the same way as full dentures, but they are uniquely designed for patients who still have healthy teeth surrounding their gaps of missing teeth. Our modern imaging and elite dental technology allow us to provide partial dentures that are a seamless fit within your existing smile. Your partial dentures will be a precise match in color and shape, and they can be removable or fixed, based on your individual needs and goals. We can even secure your partial denture to dental implants for optimal stability. Whether you are trying to regain the smile you once had or want to create the smile of your dreams, consider our impressive line of custom dentures from ConfiDenT. We make teeth replacement a positive and rewarding experience for each patient that walks through our doors. Contact our office today to schedule your consultation for partial or full dentures in Alpharetta.